Building on the symmetry classification of disordered fermions, we give a proof of the proposal by Kitaev, and others, for a “Bott clock” topological classification of free-fermion ground states of gapped systems with symmetries. 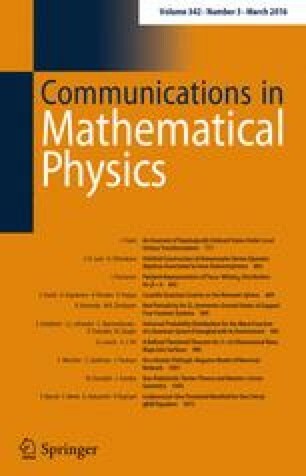 Our approach differs from previous ones in that (i) we work in the standard framework of Hermitian quantum mechanics over the complex numbers, (ii) we directly formulate a mathematical model for ground states rather than spectrally flattened Hamiltonians, and (iii) we use homotopy-theoretic tools rather than K-theory. Key to our proof is a natural transformation that squares to the standard Bott map and relates the ground state of a d-dimensional system in symmetry class s to the ground state of a (d + 1)-dimensional system in symmetry class s + 1. This relation gives a new vantage point on topological insulators and superconductors.